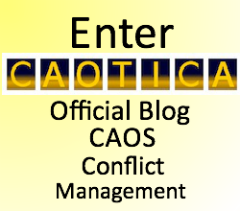 CAOS Conflict Management mediation service providers can be found across the UK. We have Associates who are very experienced practitioners who have been practising for a number of years in a range of different fields of dispute, and we also have Practitioners who have trained more recently on our 6-day training course. All of our CAOS-accredited Mediators attend regular continuing professional development events to ensure they are learning, developing and improving their practise on an ongoing basis and to ensure the quality of the mediation offered via our organisation. Neighbour mediation - disputes such as noise disputes, boundary disputes, high hedges disputes. Special Educational Needs Disagreement Resolution - mediation of disagreements between parents of children with special educational needs and local authorities and/or schools over the provision of education for their child. 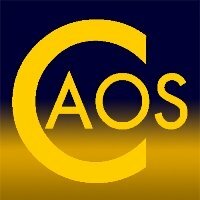 Disability Discrimination disputes - mediation over complaints by people with disabilities over issues such as access, reasonable adjustment etc. usually with organisations or employers. Building dispute mediation - where a builder and a domestic customer have 'fallen out' over some aspect of, for example, an extension being built and possibly the builder has stopped work on the project over a disagreement over cost or other concerns. Group Dispute mediation - for example, community group committees, work team disputes, street/community disputes, religious group disputes or disputes between religious groups and an organisation. Family Group Conferencing - for example when a child is considered to be 'at risk' or there are concerns for their welfare for some other reason, an FGC will bring together family members and any agencies involved to try to support and safeguard the child. Conflict Coaching - 1-to-1 support for individuals experiencing some form of relationship difficulty, communication breakdown or other unresolved conflict. These are a sample of the kinds of areas in which our Mediation Service Providers can provide support for you if you have some form of relationship difficulty, complaint that has not been resolved or communication breakdown. Please contact us on 020 3371 7507 or use our Online Enquiry Form to register your interest in having mediation, conflict coaching or conflict management training.